Superlight and breathable softshell pullover with durablility for the harsh alpine environment. SL: Superlight. Climbing equipment designed for efficient movement and protection in alpine environments. Air permeable four-way stretch woven textiles with superior abrasion resistance. Minimalist, breathable softshell climbing and alpinism products focused on dynamic movement. Attention to functional protection creates a design focused on climbing. 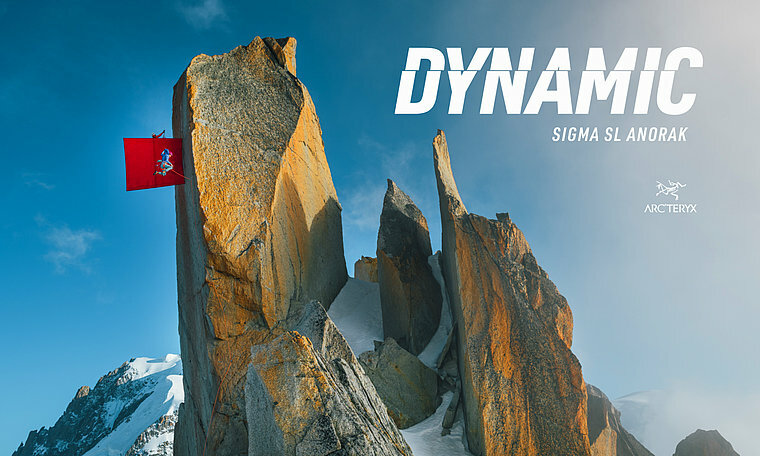 Utilizing a superlight, durable yet highly breathable material, the Sigma SL Anorak gives unrestrained movement and elevated performance in a softhsell pullover for comfortable, confident climbing. Superlight and breathable Aequora Airperm™ fabric gives wind protection and durability against rock. 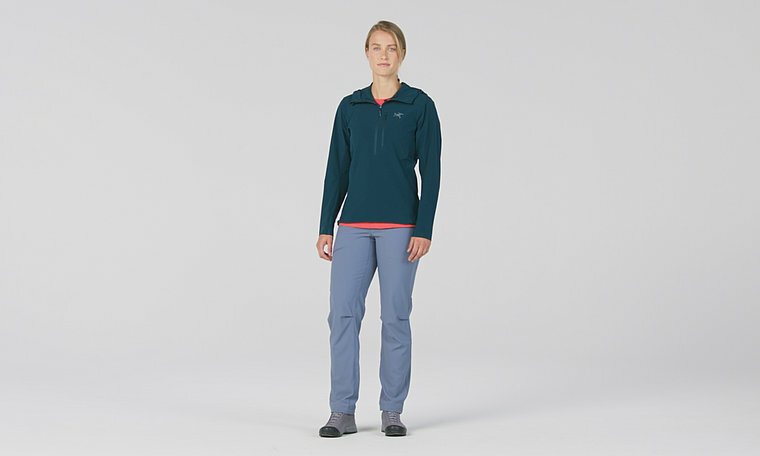 The deep front zip makes access easy and increases air flow during streneuous climbs. The fully adjustable, helmet compatible hood sits comfortably when climbing and doesn't restrict vision. The Sigma SL Anorak is the sum total of Arc'teryx designers responding to the needs of our climbing community.